Epileptic seizures occur abruptly and unpredictably. A seizure is often a catastrophe causing injury, hospitalization, and even sudden death; being able to reliably forecast seizure onset would transform the lives of people with epilepsy. Many people with epilepsy recognise factors such as stress, poor sleep and menstrual cycles that associate with increased seizure risk, but the causative role and predictive value of these factors is not well established. Recently it has been demonstrated, for the first time, that real-time ultra-longterm (months) highly invasive intracranial electroencephalography (EEG) can be used to reliably forecast seizure onset, several minutes prior to any seizure features being perceptible symptomatically or in the EEG. Further work has shown that short-term (days) non-invasive scalp EEG can also be used to reliably forecast seizure onset. Although highly promising, neither invasive intracranial EEG nor scalp EEG will be feasible for ultra-longterm EEG in the general population of people with epilepsy. Intracranial EEG is not feasible because it requires major surgery, to open the skull and implant the device; it is highly unlikely this could be suitable for most people with epilepsy. Ultra-longterm scalp EEG is not feasible because the electrodes are completely visible on the scalp, therefore highly stigmatising, and the electrodes would need to be re-attached by a skilled operator every day. In this study, we will use innovative minimally-invasive subcutaneous EEG, which is implanted in a very brief minimally-invasive local anaesthetic procedure, and is subsequently invisible to an observer. 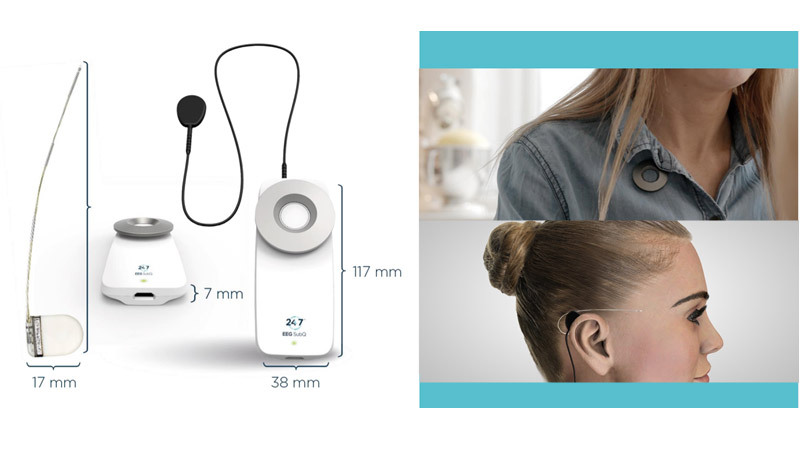 Prior pilot and pivotal studies in healthy subjects and patients with epilepsy show the device to be safe, acceptable and reliable, and our prior focus group work with patients from the UK suggests many would be willing to undergo the procedure. We aim (1) to investigate whether features derived from continuously-recorded ultra-longterm subcutaneous EEG can forecast future seizure occurrences in people with epilepsy; and (2) to substantially improve understanding of the factors associated with seizure occurrence, such as stress, poor sleep, and naturally-occurring cycles (diurnal, menstrual etc). Our vision is that a better understanding of seizure predictability and risk factors for seizure occurrence will allow the development of new strategies to reduce seizures, save lives, and save healthcare costs.